Do not miss out on this fantastic opportunity! 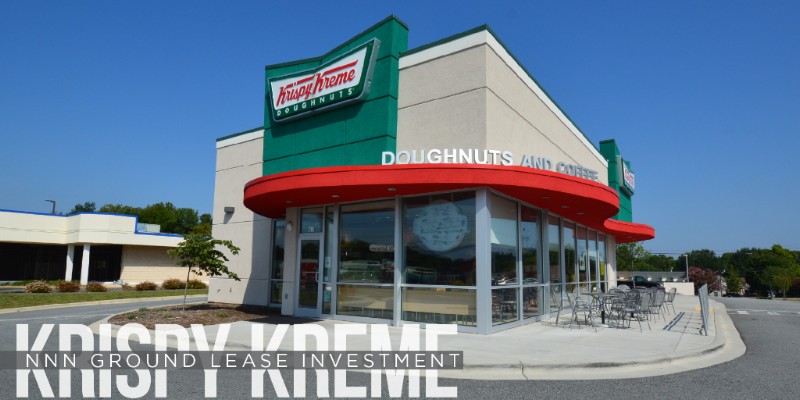 Linville Team Partners is excited to offer this Krispy Kreme Donuts NNN ground lease investment. Located in the rapidly growing retail corridor of Greensboro, NC, this rare opportunity will not last long. Conveniently situated at Exit 217 on I-40, the property is surrounded by an abundance of shops, restaurants, and hotels. Both the Koury Convention Center and Greensboro Coliseum Complex are located along the road, bringing both residents and non-residents to the bustling area. 15-year lease in place, beginning in January of 2015, with 10% rent increases every five years and four 5-year renewal options. Next rent increase is 1/1/21.